Today I kill the proverbial two birds with one stone—although no one will be harmed in the process (the Killer Quotes title is all about alliteration and completely injury-free)—by combining a favorite verse with October’s desktop calendar. 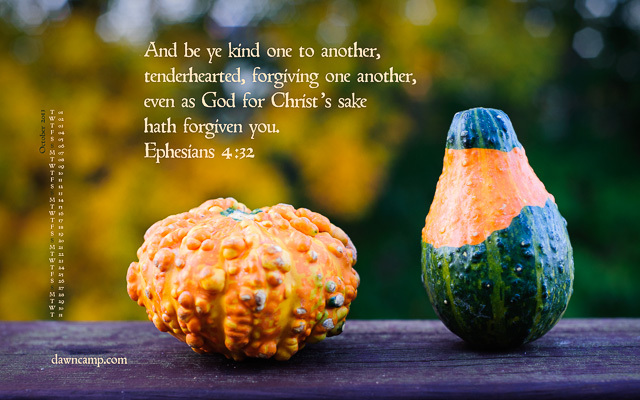 Ephesians 4:32 is an important life verse: Since God has forgiven our sins for Christ’s sake, we have no right to hold grudges against others. When you view forgiveness in this context, our grievances seem petty.